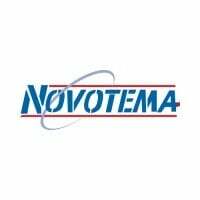 When it comes to delivering absolute perfection across each and every one of our products, the team here at Novotema take every step possible to ensure each component leaves our facility without a doubt of compromise. Producing moulded rubber products for some of the world’s most demanding environments, our components are designed to withstand the most aggressive of substances and engineering challenges, and perhaps most importantly of all, meet the very highest of levels of quality. Never more so are those stringent quality standards evident, than in the world of food, beverage, medical and pharmaceutical production, and it’s for this reason that we offer an ISO Class 8 Cleanroom to all our customers working within these industries. How clean is an ISO Class 8 Cleanroom? Strict requirements for maintaining a clean environment go without saying when it comes to products that are consumed by humans, and because of this, specific standards are set and regulated by governments across the world. To meet these standards, cleanrooms are deployed to severely limit the amount of contamination (such as dirt and dust) in the atmosphere. The International Standards Organisation (ISO) rank cleanrooms in ‘classes’ from Class 1 through to 9, with the lowest number being the most meticulously clean environment possible. Contamination levels are measured in ‘parts-per-cubic-meter’, and our ISO Class 8 cleanroom, for example, is rated at 3,520,000 contaminated parts per cubic meter. This means that the room will never have any more than 3,520,000 particles greater than 0.5 microns in size per cubic meter. Although this might seem like a huge number, none of these particles are visible to the human eye. To provide some perspective on this, the very end of a human hair can be up to 200 times larger, measuring at somewhere between 60 to 100 microns in size. How are cleanroom environments kept so clean? When classifying a cleanroom, particle counts are performed at the work surface height. To ensure the cleanroom meets the required standard, pre-filters are used to remove the dirt and dust the human eye can actually see, whilst HEPA filters capture the minuscule particles that can’t be seen. Our light manufacturing area (defined as an environment that doesn’t generate smoke or mist) also uses pre-filtration via an advanced HVAC system. To keep contaminants from entering the room in the first place, a pressurised environment is created by introducing air at ceiling level, after passing through a fan-powered HEPA filter. This creates an air pressure that is greater than that outside the cleanroom, which in turn pushes contaminants down towards the floor, and then out of the cleanroom through vents in the lower portions of the walls. What other measures are taken as part of the cleanroom process? Our process flow has been designed in a lean and efficient sequence, so that materials enter the cleanroom in one end and exit the other, with all necessary manufacture, assembly and packaging completed within the controlled environment, before it leaves. And as you would expect from the sealing experts here at Novotema, cleanroom clothing is always worn by our team members, including a hair covering, booties and smock. A separate area is provided for gowning, whilst interior isolation is also enforced to prevent any chance of cross-contamination with the all-important end product. What capabilities can Novotema provide? Specialising in the manufacture of elastomer components used in a variety of industries including medical and pharmaceutical equipment, our cleanroom contains one compression and four injection rubber moulding machines, together with a dedicated post-cure oven. Our full range of operations can be found here, and with customers spanning the oil and gas, chemical processing, industrial equipment, and automotive industries, as well as the food, beverage and pharmaceutical markets, we’ve almost certainly provided a solution similar to your own needs in the past. If you still have questions regarding the suitability of our cleanroom for your requirements, please feel free to get in touch with our experts, who’ll be more than happy to discuss your enquiry in further detail.